PRADAN proudly announces PRIDE, a collaborative project to create a transformative impact in the lives of 100,000 rural women across 6 states in India, around multiple well-being dimensions with support from the IKEA Foundation. The project focuses on triggering a comprehensive change process, based on building capacities of women and their collectives; demonstrating a virtuous interplay among empowered citizens, a responsive State and fair markets. The project is being implemented in 12 of the poorest blocks in India, in the states of West Bengal, Jharkhand, Odisha, Chhattisgarh, Madhya Pradesh and Rajasthan. 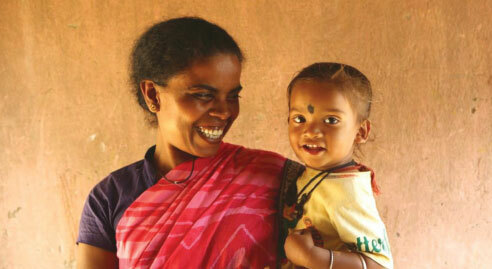 The project will be actively supported by Transforming Rural India (TRI), a new initiative by PRADAN and Tata Trusts. TRI will assist PRADAN around areas of partnership building, protocol creation and upstream engagement with public systems and in attracting new-age market-based social enterprises.